Product Detail Summary: The Armored Personnel Carrier (APC) safely transports tactically vital infantry to the front lines. Recreate epic invasion scenes by getting troops across enemy lines to dominate the battlefield. 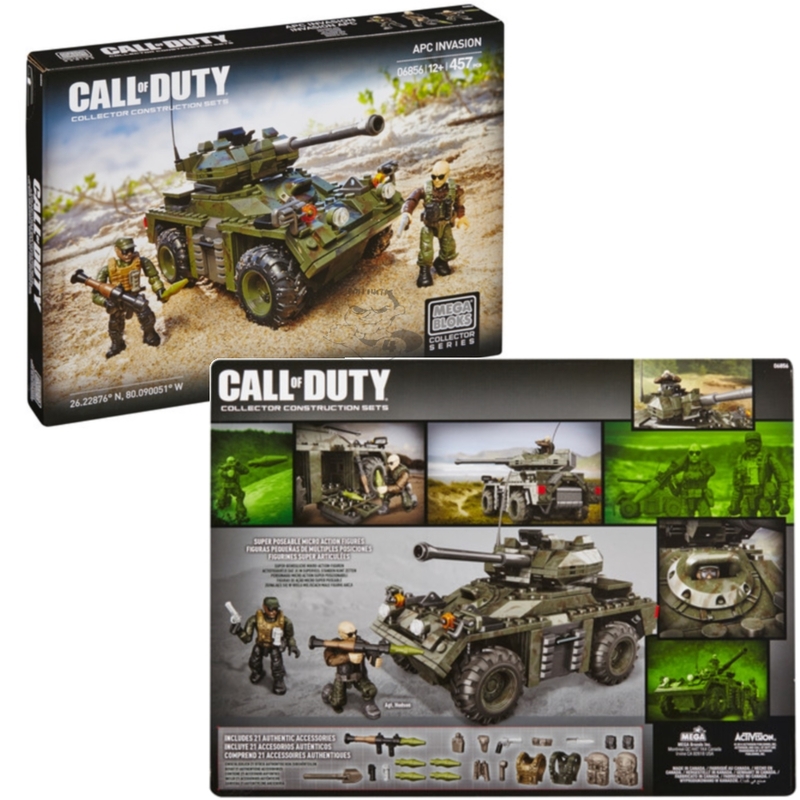 This buildable APC features specialized details including a 360° rotating turret and rocket launcher, as well as two super poseable micro action figures, including the highly collectible Agent Hudson, as well as highly detailed infantry weaponry and interchangeable accessories to allow for mission-specific customization. For ages 12 and up.